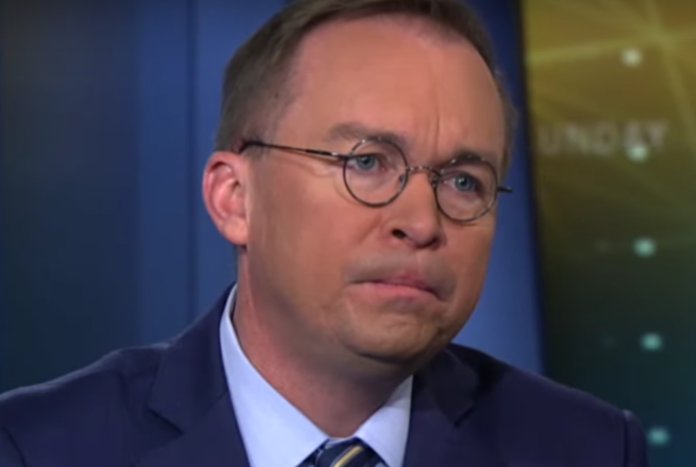 Acting chief of staff Mick Mulvaney made an absurd claim during an interview on Fox News Sunday that Democrats can’t investigate President Donald Trump and legislate at the same time, drawing push-back from Chris Wallace. During the State of the Union address, Trump threatened Democrats that there can’t be legislation as long as there are investigations in a clear effort to undermine Congress’ duty to provide oversight. But we all know that Trump is not interested in working with Democrats anyway. He just wants his way or no way at all. Therefore his threats hold no sway. When acting Attorney General Matt Whitaker testified to the House Judiciary Committee, he disrespected Democrats and the oversight process by trying to dodge questions about Trump’s effort to meddle with the various federal probes looking into his actions. Mulvaney apparently found it funny that Whitaker disrespected Congress in defense of Trump, prompting Wallace to remind him that the American people see him. “Does the president recognize that Congress has an oversight role in addition to its legislative role?” Wallace then asked. Of course, Congress can do both and has been doing both since the founding of our Republic. Just because Republicans were incapable of legislating while conducting years of fruitless investigations during the Obama administration does not mean that Democrats won’t be able to legislate and investigate. In fact, they’ve already proven they can do both. Trump and Mulvaney are clearly trying to strong-arm Democrats into dropping their investigations by threatening to kill legislation that Trump would never sign anyway. Mulvaney then argued that House Democrats should not investigate Trump and expect him to be willing to work with them to pass legislation. “Right, but it’s not reasonable to expect the president to work with you on Monday on a big infrastructure bill and then on Tuesday have you punch him in the face over 15 different investigations,” he claimed. Wallace then slammed Mulvaney for hypocrisy because he served in Congress as a Republican when the GOP launched partisan probe after partisan probe against the Obama administration.